Hand made in the UK with reinforced, 125mm high performance, smooth gliding wheels these super heavy duty, 1 tonne capacity dollies are great for moving really heavy equipment with absolute ease. Ideal for office removals, home removals, self-storage, events, exhibitions, gyms, music venues, theatres and much more. Double thickness 36mm sturdy wooden platform. Ribbed rubber, non-slip top surface, will not scratch furniture or snag the underside of crates or boxes. Reinforced 125mm swivel wheels are shock-absorbing, hard-wearing, resilient on all kinds of surfaces, easily cleaned and quiet to use, indoors and out. Rounded corners and bevelled edges, fitted with a 25mm wide, 2mm thick rubber bumper to avoid damage to walls, skirting boards and door frames. Hand hold with smooth, rounded edges for easy and comfortable carrying and storage when not in use. Parrs are proud to sell this fantastic 1 ton capacity furniture dolly. 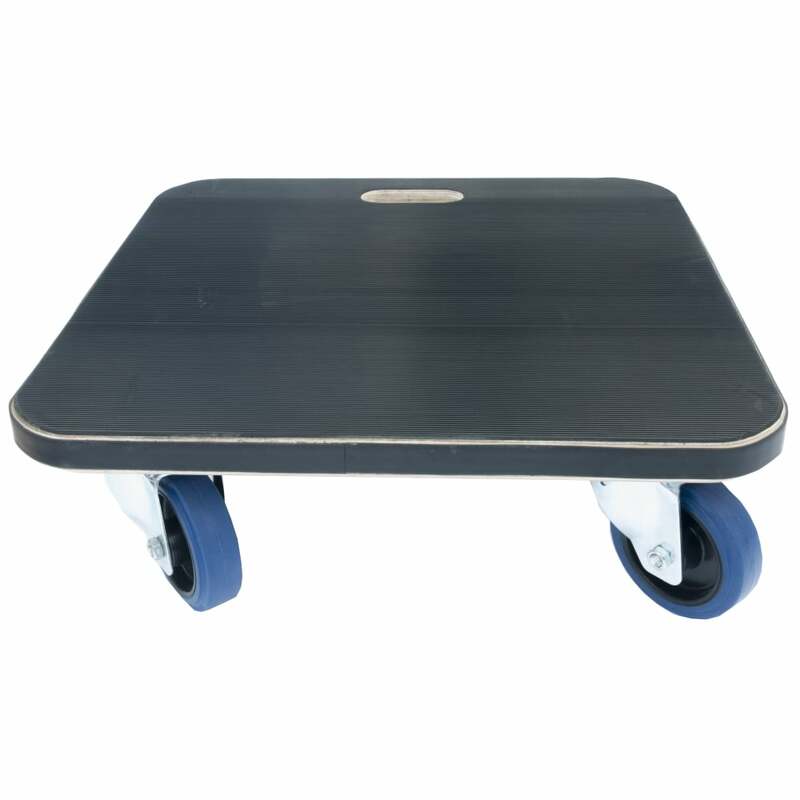 When you are moving extremely heavy loads, you need a piece of handling equipment that you can trust and this UK handmade furniture skate fits the bill perfectly. We recommend this furniture dolly to the removals industry, but it is also ideal for exhibition companies, educational establishments and theatres. Providing the right manual handling equipment to your staff will mean less musculoskeletal injuries, increased productivity and you will be complying with the law. So when you are moving heavy awkward loads, use a quality UK manufactured furniture dolly. Bespoke sizes are also available. Please call 01527 585777 or click on our live chat icon to speak to PARRS Customer Service team who is happy to arrange a quote for you.